The Ashton Classic Prime Minister is tagged with free shipping. If you order this product, your entire order will receive FREE BCP Ship Saver shipping! 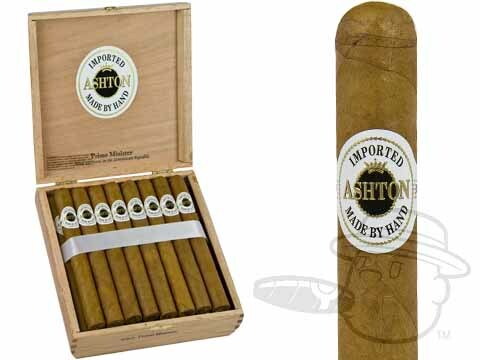 Ashton Classic Prime Minister is a pleasantly mellow smoke, delivering tasting notes of cedar, cream, subtle vanilla, and almond in a 6 7/8 x 48 Churchill vitola. these crafted cigars present well and smoke smooth. fairly even burn but tend to deteriorate after half way thru. Ashton Classic Prime Minister is rated 4.2 out of 5 based on 2 customer ratings.